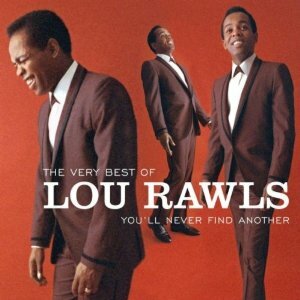 What percentage of (older) music fans, upon hearing the name Lou Rawls, instantly dial up that unfortunate night at the 1977 Grammy Awards when Rawls hawked up his spleen during the performance of his then comeback hit, "You'll Never Find Another Love Like Mine?" For those unfamiliar with that evening, it went something like this. Lou was riding high with his first hit in years, a crossover smash. As he began his live performance, he choked on his own saliva, and that was that. It was 4 minutes of hacking while millions watched with mouths agape. I can think of much better Lou Rawls moments. Just forget "Lady Love." Never happened. Names like Al Green and Marvin Gaye and Teddy Pendergrass and Luther Vandross are consistently and justifiably tossed about when discussing the great voices of R&B. On the unjust side of the coin, the voices of R. Kelly and Usher, also get the nod more often than Mr. Rawls. I'm thinking Lou's curriculum vitae needs a more prudent perusal. As iPod shuffle once again hit me like a sack of bricks, I found myself lost in the perfection of "You'll Never Find Another Love Like Mine." The dynamics, the lyrics, the sweeping strings, the disco beat. Mostly I just surrendered to the big, soulful sound of honey that is Lou Rawls' voice as he mourns his lost love with shoulders back and confidence high. And though he says he doesn't, he does brag about just what* she will miss when she goes. I was done in. I had to listen to more. 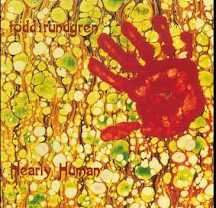 "Natural Man" is about the coolest thing I've ever heard and it was co-written by Sandy Baron. SANDY BARON! ....Jerry's father's friend with the astronaut pen. Covered by many, including Boz Scaggs and Bonnie Raitt, the Isaac Hayes/David Porter classic, "Your Good Thing (Is About To End)" was first put to wax by Mable John, sister of the late great Little Willie John. All fine entries, but I'm calling Lou's version "the one." 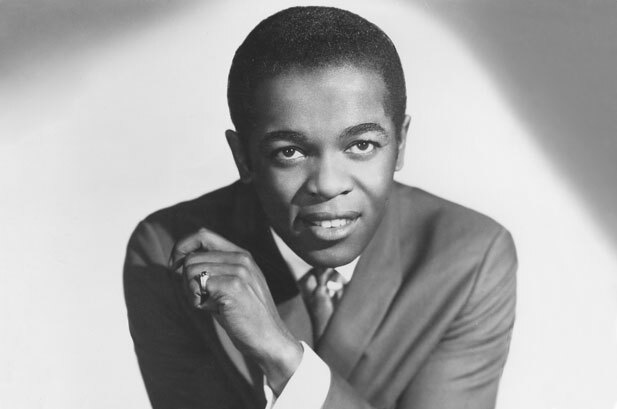 Let's not forget how Lou Rawls began his career, singing the gospel alongside Sam Cooke. This one is a killer. Then of course, there's "Love Is A Hurtin' Thing." 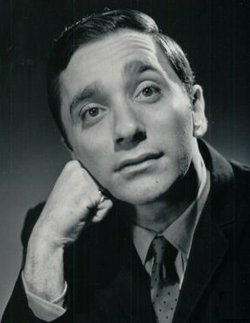 Aaah....1966. What 1939 is to movies, 1966 is to music. If you're really interested in seeing Lou choke his way through "You'll Never Find..," you can look it up yourself. I'd rather bask in the brilliance of the record, as we know and love it. ----is out of print. It's not definitive, as it only serves up the Axelrod years. But those are damn good years. Used copies are available HERE. ----would be definitive, but it's missing "For What It's Worth." It's HERE, and in print. The iPod shuffle is the best thing to hit music collections...EVER! Not only does it pick out songs at just the right time to make an impact (i.e. Lou Rawls) but seems to keep a groove of like songs going for extended sets. Also to be included, in my humble opinion, is the live version of that old chestnut, "Tobacco Road" off the album "Black Blue and Tobacco Road." What an incredibly smooth voice yet rough at the edges for authenticity. Under appreciated. I whole-heartedly second the emotion of Mr. Oberto's recommendation of Tobacco Road. Talk about under appreciated, Lou definitely is. He's all heart. I just want to add though I know it's my beloved Sam C on lead, "Bring it On Home to Me" with Sam and Lou's vocal call and response is one of the great records ever. What chemistry, their voices amazing together. I always loved Rawls' voice, but it was the beer commercials and the Bob Hope associations that turned me off. Lou was smooth when everyone and everything was getting rough. great re-evaluation, thanks. 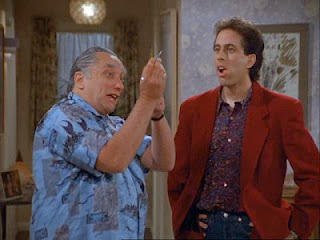 Sandy Baron, for you really oldsters: "Hey Landlord." I hated my iPod shuffle when I had one, but I blame iTunes because it still seems to decide what my favorites are and feature them even though I have 10,000 songs loaded. In my perfect world it would play all of them in a random fashion. But what is the choice? Windows Media Player's random seems a little better, but you can't print the playlist. So I hate them both. Still, it's better than having to turn over the record every fifteen minutes. Please call me Gene. It has a nicer ring to my ears. 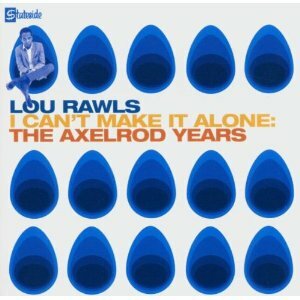 Ahh yes, Lou Rawls. Nice digging him up Sal, (sorry for the death pun). I'm going to the back catalog to have a listen. A very cool, suave and distinctive voice. From singing early gospel, doing early harmony vocals with Sam Cooke, Bring It On Home To Me always gives me goose bumps. To the mid-late sixties R&B songs that measured up to anyone from the day. Up to his "comeback" You'll Never Find, a confident disco-ish triumph. Rawls was the real thing, for sure. Sandy Baron?? I never would have thought. When Jefferson Airplane, who covered "Tobacco Road" from the beginning, used to introduce it on stage, they never failed to credit Lou Rawls. I like the Axelrod stuff quite a bit. "The Want Of A Nail"